Bobtails are used for LPG distribution in terrain, where a high agility is required. 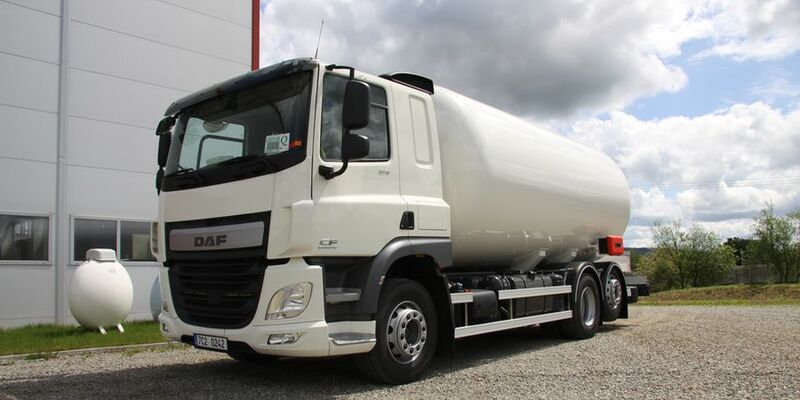 Bobtails are assembled on chassis MAN, DAF, Volvo, Mercedes, Renault etc., on axles 4×2 (4×4) and 6×2 (6×4, 6×6). Transferring and metering systems are installed in lateral cabinet made of stainless steel. Fixed structures for 4×2 (4×4) vehicles, with volume 16-18m3 and a total weight of 18 tonnes. The advantage of the fixed structure is a low-lying stainless steel cabinet on a side of the vehicle. 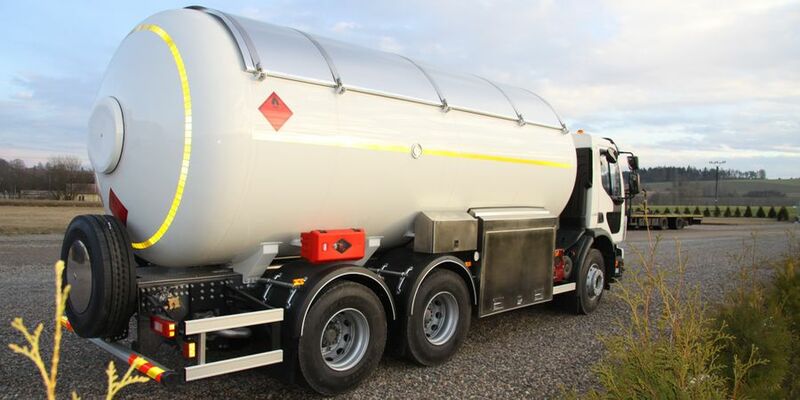 This bobtail is a very compact solution with compressor. Fixed structures for 6×2 (6×4, 6×6) vehicles, with volume 25-29m3 and a total weight of 26 tonnes. 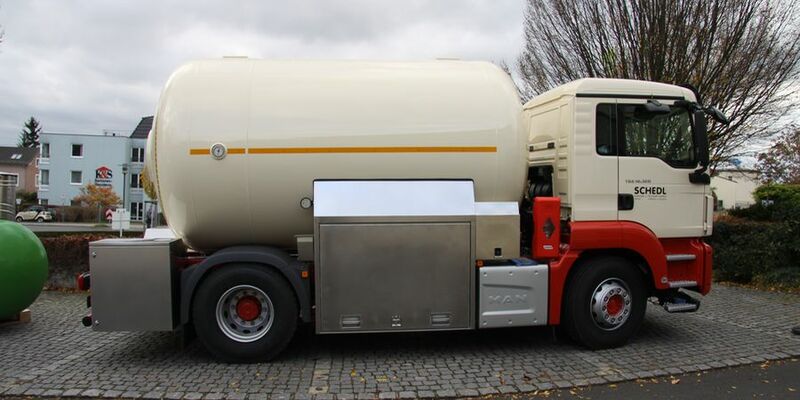 The tank volume of 25-29m3 depends on the weight of chassis, which is always specified by the customer. The advantages of a fixed structure consist in the low-lying lateral stainless steel cabinet and in the short wheelbase. The measurement and dispensing systems work on Coriolis mass principle.